What Is 'Auto Renewal' In A Prepaid Phone Plan? What Is ‘Auto Renewal’ In A Prepaid Phone Plan? Prepaid mobile phone plans come with a convenient option known as automatic renewal. When you are about to reach your data cap or the phone plan is about to expire, the service provider sends you a text message advising that your phone plan is being renewed. Telcos deduct funds from your credit balance automatically. This means the user doesn’t have to do anything; neither do they have to visit any store for recharge. Consumers find this to be quite convenient. There’s no need to make an effort to remember exactly how much time you have left before expiry, or how much data you have left. The fact that you don’t have to go through the usual recharge steps is also very convenient. With the auto renewal facility, users can enjoy uninterrupted web surfing, video streaming, and social media without worrying about crossing their data limit. In this way, you can fully control your spending on phone plans. You can set up auto renewal only with prepaid phone plans and mobile broadband plans. It is added on data plans to enable users enjoy discounted prices on data services that will continue without interruption. For example, where a plan requires continuous renewals in order for excess data to rollover, as a number of prepaid plans do, this function will come in very handy. The auto renewal feature automatically renews your phone plan at the end of the plan’s expiry, thereby ensuring uninterrupted services without any actions from you. Every time a phone plan is added to a user’s account, auto renew is switched on by default. Users don’t need to manually switch auto renew off immediately after the beginning of a new renewal period, if they don’t want to renew their phone plan. This can be done at any time through their account with their service provider or a dedicated app. 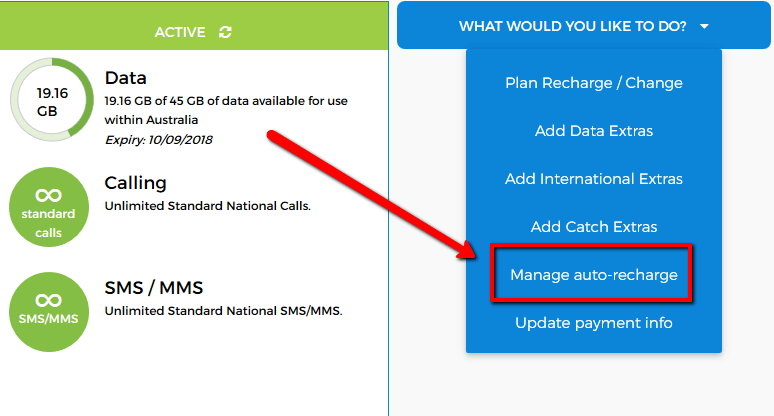 You can use auto recharge, or auto renews your Telstra prepaid plans in two ways: Scheduled monthly recharge or balance based recharge. Scheduled monthly recharge renews your plan on a particular data, while balance based recharge renews your plan based on your balance level. Your phone plan will be automatically renewed on the given date. Optus AutoRecharge service is one of the many options available on your phone’s My Optus app. It allows users to register their credit/debit card for setting up auto renewal of their prepaid phone plans. 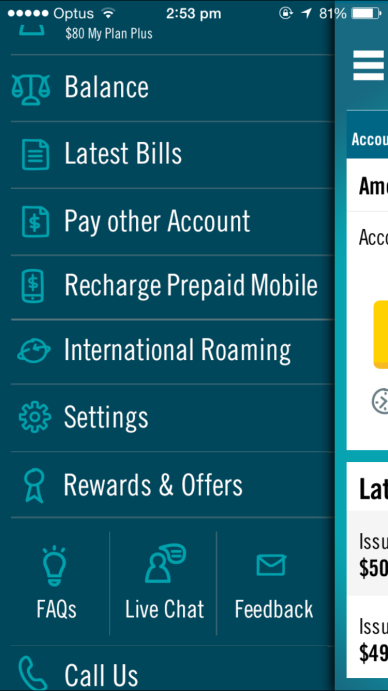 Using the My Optus app, go to Recharge > AutoRecharge > and follow the prompts. Alternatively, go to http://optus.com.au/recharge, enter your service number, choose Setup AutoRecharge, and Follow the prompts. Depending on your prepaid offer, you can set recharges to occur automatically on a certain recurrent date, or when you reach a low credit balance. To change your Optus AutoRecharge settings, the steps are the same — open My Optus app, tap Recharge, go to AutoRecharge and click Edit. Go to My Optus app (Mobile Phone only) > tap recharge > tap AutoRecharge > and tap Cancel. If you want to cancel the auto renewal process with Optus online, go to the cancellation link sent along the AutoRecharge setup email or text and follow the prompts. You will receive instant confirmation regarding the cancellation of your auto renewal service. Auto renewal with your prepaid phone plan saves hassle and time. You neither have to worry about going to your account with the telco or tap any mobile app to recharge your plan. Moreover, you don’t have to remember the expiry date of your phone plan. Once you set up an auto renewal date or balance, the telco will automatically recharge your plan. Many telcos even offer a discount on your payments for prepaid plans. With auto renewal, bills are paid automatically through the selected payment mode, so you don’t have to worry about losing the service. However, auto renewal may also leave you stuck with your provider. Assuming you’re not entirely satisfied with your current provider’s service or deals, or you’ve found a better option, you just might forget auto renew is turned on. This would result in your prepaid plan being renewed even though you don’t want it anymore. This can be the case where you’re not even aware that your phone plan came with auto renew automatically turned on. Thus, it’s wise to keep track of this feature, both for its benefits and drawbacks.